Experimental Theology: God's Servant for Your Good: Part 5, "One Could Do As One Pleased Only With Stateless People"
God's Servant for Your Good: Part 5, "One Could Do As One Pleased Only With Stateless People"
We are continuing to reflect on Romans 13, where Paul describes the nation state as "God's servant for your good" because the nation state does not "bear the sword in vain" as "the servant of God to execute wrath on the wrongdoer." I've been discussing various things I've encountered that have made me think again about Paul's claim about how the state "wields the sword" might be experienced as "good news" in social locations different from my own. 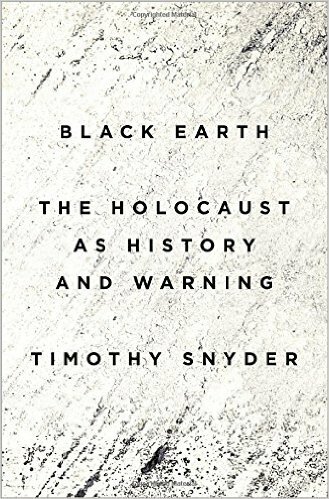 In this post I want to bring your attention to the analysis made by Timothy Snyder in his book Black Earth: The Holocaust as History and Warning. There's a lot in Black Earth to wade through, but the core of its argument is relevant to our musings about Romans 13. The relevant statistic is easy enough to share. Most of the Jews killed during the Holocaust were not killed in Germany. Most of the Jews were killed in stateless regions, formerly functioning states, like Poland, that were destroyed by the Nazis. These stateless regions became lawless killing zones. By contrast, nations that were able to keep some state function alive during Nazi occupation, states like France, saw much less of the killing and genocide. 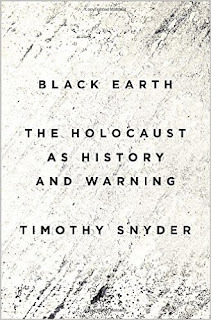 In short, an argument from Black Earth is that there is a connection between statelessness and genocide. Black Earth builds on the assessment of Hannah Arendt: "One could do as one pleased only with stateless people." That quickly brings us back to Romans 13. States, as was the case in France during WW II, protect their citizens. Poland, by contrast, was totally dismantled by Nazi Germany and thus lacked the capacities to protect its citizens, creating the lawless zones that became the killing fields of the Holocaust. Beyond WW II, you can also see a connection between mass killings and statelessness when states fail or when a vacuum of state control is created. Historically, murder proliferates in these lawless areas where states don't exist or don't function properly. We also see the extreme vulnerability of stateless persons in displaced and refugee populations. Without a state to protect them, as citizenless persons, these people are extremely vulnerable, if not to mass killing than to local violence (e.g., violence within refugee camps) and global abandonment. Without a state no one cares about, claims or protects these displaced persons. Refugees live in a lawless vacuum and are, thus, vulnerable to violence, on either a personal or genocidal scale. Once again, does this not cause us to rethink Romans 13 from the social location of stateless persons? Yes, states commit horrific crimes. But states also protect their citizens. When states fail violence and destitution grow to massive, genocidal and world-historic proportions.